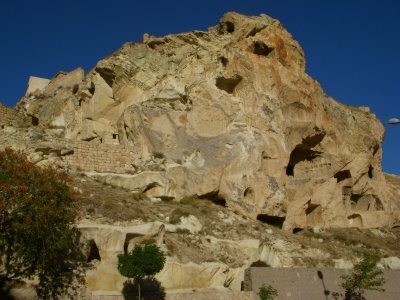 I arrived in Urgup yesterday from Kayseri, only a 60 kilometer trip. 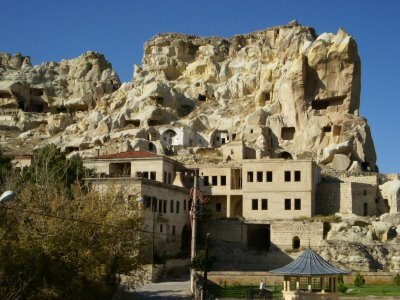 Urgup is a wonderful small relaxing town in Cappadocia. The hotel I am staying is like staying at grandmas house, the older lady is a delight, and my room is cozy with wooded knotted walls, a down blanket, with a private bathroom. 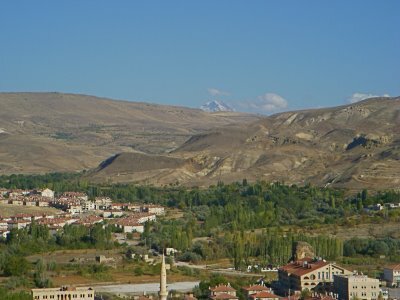 In the top picture you can see the snow capped peak of Mount Erciyes the extinct volcano, and the cause of the landscapes of Cappadocia. 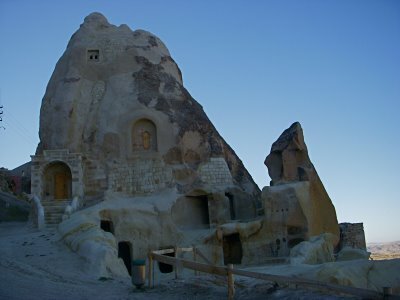 Cappadocia once was the capital of the Hittite kingdom, along with Hattusa between 1800 BCE and 1200 BCE, this area is known for many underground cities that I will be visiting. The tourism season is slow in October, nevertheless there are a few tour buses that have passed through Urgup. It is interesting I have been traveling Turkey for 5 weeks and these are the first tourist buses I have observed. Urgup is known for fantastic wine from wineries around the area that thrive off of the mineral-laden volcanic soil. 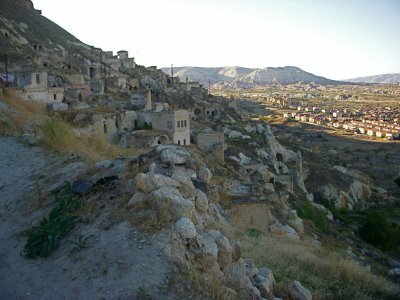 I am researching for which town I want to visit next once I leave Urgup. My plans are set until the fall of 2009. I just bought a round trip ticket from Athens to Tel Aviv. I will depart Athens in mid November and return mid February. There is an organic farm that e-mailed me about staying at their farm for a month or longer. Returning to Athens I will slowly head north through the Balkans to Poland. Around the time of October it will be toss up if I head through Russia to Mongolia (winter) or stay and organic farm in Europe for the winter and head to Russia in June of 2010. I will figure that out when that moment arrives. 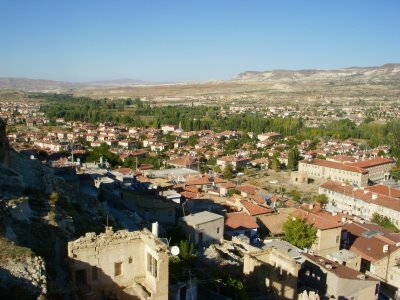 I will travel Turkey for another 4 weeks and then start heading to Athens. The boat was to expensive and from the schedule I look at on the Internet there was no boat in November that sails to Israel. In addition, I would of had to backtrack to get to Cypress or Rhodes. This way in February, when I return to Greece I will travel Greece heading north for Bulgaria, then head for Albania and the list of countries continues. 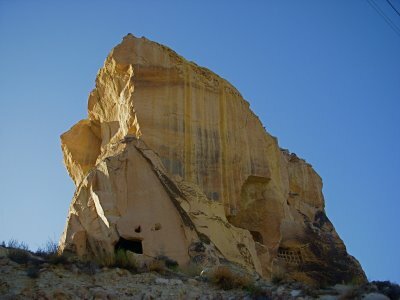 Next post: Urgup, The BackSide—Cappdocia.